Hello and Welcome to the Say Cheese Photography Web Page! 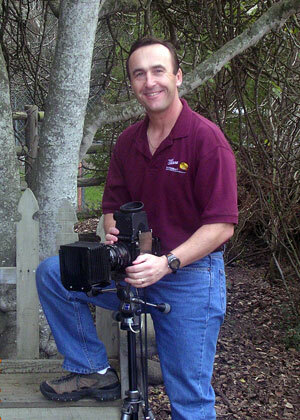 My background in photography began in 1984 as a Crime Scene Photographer. I am currently employed as a Forensic Evidence Technician for a local law enforcement agency. Since 1989, I have enjoyed photographing more pleasant events such as weddings and family portraits. I designed the Say Cheese logo to help reflect my overall feeling towards my photography, and the business of portrait photography in general. My approach to photography is to have fun at the special event along with those who Im photographing. My goal is to provide a professional, affordable product. At the same time, I want to make the experience as enjoyable as I can for the people in front of the camera. Its simple: people who are having fun appear happier in the resulting photographs! During the photographic process, I try to remain pleasant and open to ideas and thoughts by those whose picture I am taking, and to those on the sidelines. I do my best to incorporate those useful ideas into the session. I look forward to speaking with you about your upcoming event. Dont forget to Say Cheese! !